Water-Attuned Adventurer Upgrade Event Is Now Live! 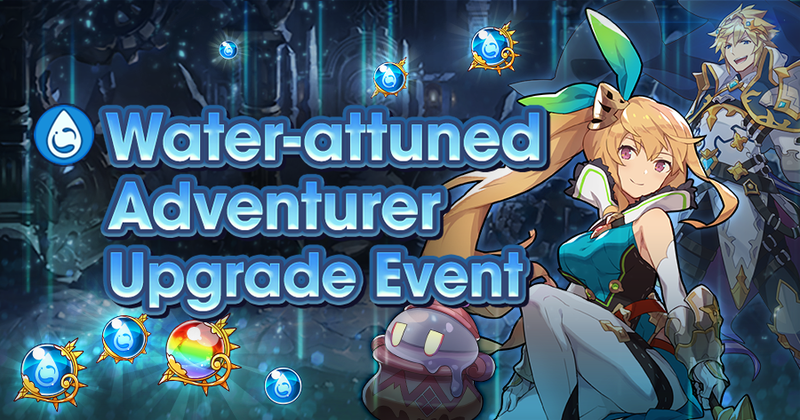 The water-attuned adventurer upgrade event is live as of 11:00 PM Mar 30, 2019(PT)/ 6:00 AM Mar 31, 2019(UTC)! The Waterscour Ruins (Beginner/Standard/Expert) event quest, where you can obtain items for upgrading water-attuned adventurers, is open for the duration of this event, and the Daily Bonus for Waterscour Ruins is doubled. But that's not all... The Daily Bonus for Waterscour Ruins will be quadrupled when the 7-Day Pack (Double Bonus) is in effect!